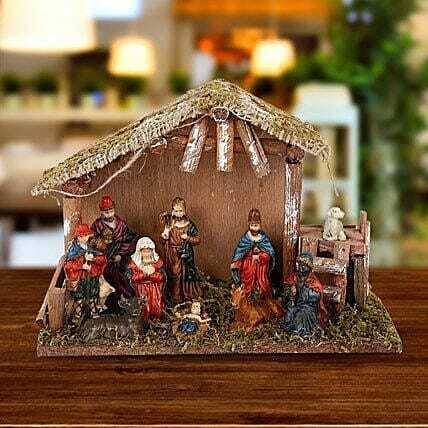 This is a small replica of that holy night when Jesus Christ appeared on this Earth and changed many lives. Those three Biblical Magi who came to visit the Christ at his birth with gold, frankincense, and myrrh are also seen in this hut. Present this gift to your loved ones and celebrate the birth of Jesus on 25th December. Keep the idol away from water as it might lead to tarnishing of the metal.